Thanksgiving is almost here and as I prepare to celebrate with my family I am reminded of how fortunate I am. One of the things I am most thankful for is my health. I became sick when I was 18 and I continue to struggle with health issues. There are good days and better days, never bad days. I believe we choose to see things and live either positively or negatively, and I choose to see and live the good. 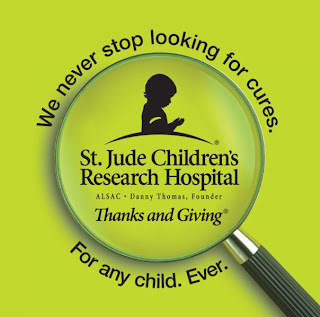 In the spirit of giving thanks, one cause that I have always admired and supported is St. Jude Children's Research Hospital. Their holiday Thanks and Giving campaign is a great way to give back this holiday season. Any store bearing this logo will make a donation to St. Jude's for selected products. Whenever possible I try to purchase these products. Yesterday evening I purchased these wonderful candles at Pottery Barn. They smell delicious and come in pretty mercury glass votives. I use small candles in our kitchen and these will look great in front of the pictures I have on the counter. 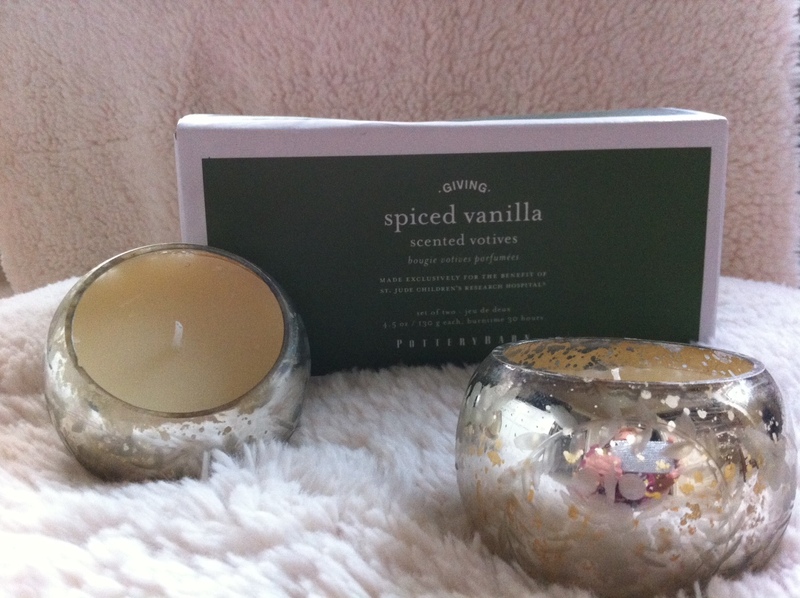 These candles are excellent gifts for the holiday's. I love being able to give gifts that have a deeper significance. Every donation makes a difference and helps to spread awareness.